Pakistan on Wednesday handed over its “preliminary findings” and sought more “information or evidence” from Delhi to take the process forward. between the 54 people detained by its investigative agencies and the Pulwama attack. The Pakistan Foreign Ministry said it was willing to allow visits to these 22 “pin locations”, where India had said terrorist camps existed. This is the first time that Pakistan has officially conveyed the outcome of its investigations into the dossier, which was also shared by India with the United Nations Security Council (UNSC) members. Key excerpts of the dossier were shared with all UN members, as India launched a diplomatic offensive to list JeM chief Masood Azhar as a global terrorist under the UNSC Resolution 1267 Sanctions Committee. The Ministry of External Affairs’ official spokesperson Raveesh Kumar said “India is disappointed at Pakistan’s response to our detailed dossier” on the JeM’s complicity in the Pulwama attack, the presence of its terror camps and leadership in Pakistan. “Regrettably, Pakistan continues to be in denial and even refuses to acknowledge Pulwama as a terror attack. It has not shared details of credible action, if any, taken by it against terrorists or terrorist organisations based in territories under its control,” he said. “We are hardly surprised, as this identical script was followed by Pakistan in the past, after the terror attacks in Mumbai in 2008 or in Pathankot in 2016. It is a well-known fact that the UN-designated terrorist organisation, Jaish-e-Mohammad, and its leader, Masood Azhar, are based in Pakistan. This was again acknowledged recently to international media by Pakistan’s Foreign Minister. There’s no dearth of sufficient actionable information and evidence in Pakistan itself to take action against them, if there is sincerity and intent to do so,” he said. But nevertheless, he said, “we are examining the paper handed over by Pakistan”. Pakistan also briefed the foreign diplomatic corps in Islamabad on its “preliminary findings”. The Attorney General, Foreign and Interior Secretaries and Director General (FIA) were present at the briefing. This is important as Pakistan is under intense scrutiny by the Financial Action Task Force (FATF), and faces the threat of being “blacklisted”. “While 54 detained individuals are being investigated, no details linking them to Pulwama have been found so far. Similarly, the 22 pin locations shared by India have been examined. No such camps exist. Pakistan is willing to allow visits, on request, to these locations,” Pakistan’s Foreign Ministry said. In the aftermath of the Pulwama terror attack, Pakistan’s investigative agencies had announced preventive detention of over 120 members of banned militant outfits in the country. Pakistan-based JeM chief Masood Azhar’s son and brother were among those arrested. India termed Pakistan’s actions as “cosmetic”, and asked for verifiable, credible, sustained and irreversible actions against terrorists, terrorist groups, their proxies and the terrorist infrastructure. 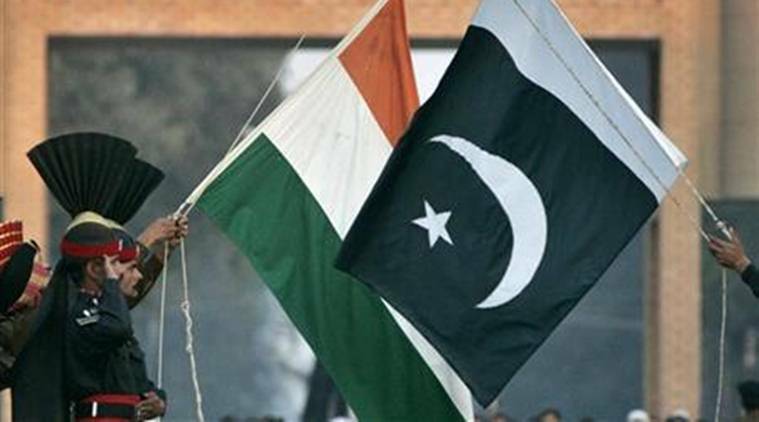 On February 27, India handed over the dossier to the Acting High Commissioner of Pakistan in New Delhi, Syed Haider Shah, with specific details of JeM’s complicity in the Pulwama attack. The Pakistan Foreign Ministry said that soon after receiving the dossier, Islamabad constituted an investigation team, detained a number of people for investigation, and “initiated work on the technical aspects of social media content, a main basis of the Indian documents”. The Indian dossier contains 91 pages and six parts, of which only Part 2 and Part 3 pertain to the Pulwama attack, it said. “The other parts are generalised allegations. Pakistan is focusing on those parts which relate to Pulwama incident,” it said. The Pakistan Foreign Ministry said that all aspects of the information provided by India were thoroughly examined, including the “confessional” video of Adil Dar, claiming responsibility for the attack, WhatsApp and Telegram numbers used to share videos and messages in support of the Pulwama attack, a list of 90 individuals suspected to belong to a proscribed organisation, and 22 pin locations of alleged training camps. “Service providers have been requested for data, including relevant details of activities and contacts of the GSM number provided by India,” it said. “A request for assistance from WhatsApp has also been made to the US government,” it said, adding that the “additional information and documents from India would be essential to continue the process of investigations”. “Pakistan remains committed to taking this process to its logical conclusion,” the Foreign Ministry said.